The story of EarthTime begins on Mars. EarthTime today is a technological platform that helps people comprehend massive amounts of data about our planet and come to grips with our biggest global challenges. But 15 years ago, people just wanted to see what the Red Planet looked like. When NASA's Spirit and Opportunity rovers landed on Mars in 2004, they began sending back mesmerizing photos of the bleak landscape. Each of the panoramic images actually was composed of many smaller images, which were electronically stitched together to create a sweeping vista. Carnegie Mellon University has created EarthTime, a tool that takes massive data sets from around the world, then creates interactive visualizations for users. It has become an annual mainstay at the World Economic Forum in Davos, Switzerland. NASA, Google and Carnegie Mellon University's CREATE Lab in 2006 would adapt this technique for a system they called GigaPan, which made it possible for any earthling to combine multiple digital images to create detailed panoramas. And in 2011, the CREATE Lab took it a step further by enabling the visual exploration of both space and time, establishing the skeleton of what would eventually be called EarthTime. At the time, they called it GigaPan Time Machine. The initial emphasis was on photographic and video imagery, but within a year they added a data set that would lead to conceptual change in the platform's evolution. "We started with a very simple data set that also turns out to be extremely explanatory," said Randy Sargent, initially a computer scientist at NASA Ames Research Center who split time with CMU and Google during the system's development and is now a senior systems scientist with the CREATE Lab. "We started with all of the Landsat images from the beginning of [NASA's] Landsat program, so we could go back to 1984 and show how the surface of the planet had changed. "It shows the changes in cities, the birth of cities. It shows flooding. It shows things like deforestation. It shows the incredible expansion of agriculture. There's just so many things you get from that data set. And that was the one that kind of brought all of the other data sets together." Now, project leaders no longer focus just on the technology, but also on the process of gathering geolocated data and finding ways to use the data to tell stories. Current international refugee infrastructure cannot accommodate the record high number of people in the modern refugee crisis. Carnegie Mellon University's EarthTime software visualizes the causes and possible solutions. "EarthTime is a narrative technique for changing the way people think about the Earth and the people on the Earth," said Illah Nourbakhsh, the K&L Gates Professor of Ethics and Computational Technologies and director of the Robotics Institute's CREATE Lab. That has meant reaching out to more than 800 researchers and data keepers around the globe — sources such as the United Nations, U.S. Geological Survey and the London School of Health and Tropical Disease. To maintain EarthTime as an authoritative and neutral source of facts, all of this data must be peer-reviewed and defensible and, of course, must be publicly available. 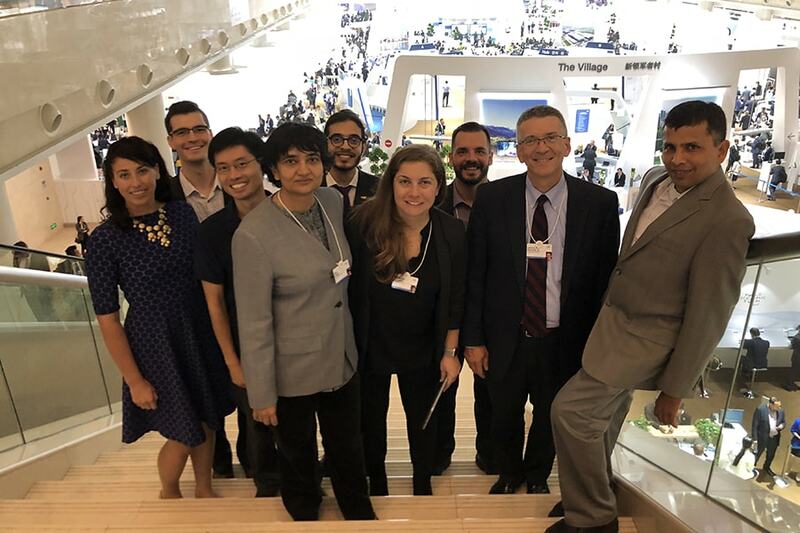 "It starts with a shake of a hand with somebody who directs that organization, who agrees that they're going to give us data to make the world a better place," Nourbakhsh said. Data is not only stored in different places, but in different formats — online data bases, Google tables, Excel worksheets. So the CREATE Lab has created a special file system that can digest the data in a form that can be shared through a regular web browser. "Almost everyone who gives us data has a hard time looking at their own data, ironically," Nourbakhsh said. 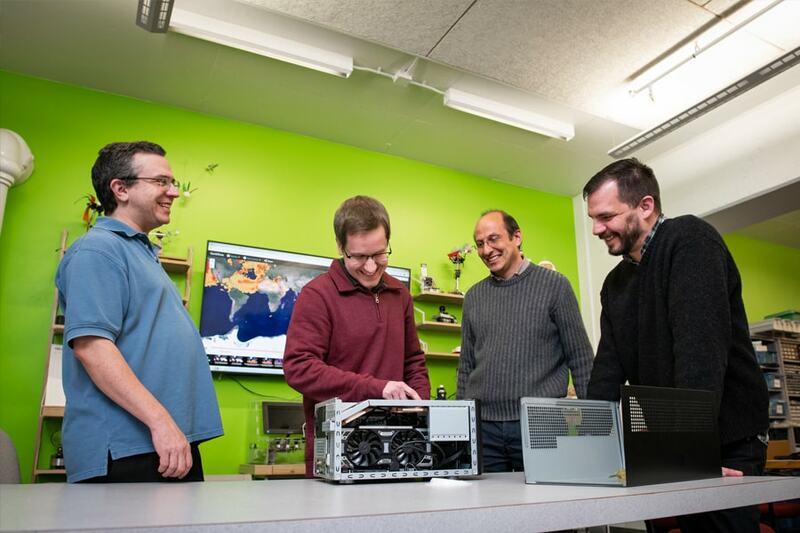 "Once they give it to us and we digest it, we use Carnegie Mellon servers to make that data available to anybody anywhere through a web browser. And that means even those organizations that have given us the data can benefit." As technology changes, Randy Sargent, Paul Dille, Illah Nourbakhsh and Gabriel O'Donnel created have continued to expand and evolve EarthTime. The project scientists also work with topic experts who can provide crucial context for understanding the data and use the data to create meaningful stories. All of the data is geolocated so it can be superimposed on a map, but researchers also must find visual tropes that are appropriate for displaying it. Using existing tropes, such as bubbles, dots or color, some data sets can be processed into EarthTime in a matter of days; if new tropes are required, such as a GPS coordinate for every oil tanker on Earth over time, the process can take weeks or months. "I hope that in three or four years, the process of ingesting data is near automatic," said Gabriel O'Donnell, principal research programmer. "Anybody or any researcher that has a data set that is complementary to the platform could ingest it without our help." In the early years, researchers needed to hand out copies of their work on hard drives. But last Earth Day, working with the World Economic Forum, the CREATE Lab was able to launch EarthTime as a website, making the tool and its massive database broadly available. "The EarthTime system we invented necessarily had to deal with hundreds of data layers and trillions of data points at a level that nobody needed to solve before," Nourbakhsh said. That required technological innovation in machine learning, graphic design, computer vision and human-computer interaction typified by Carnegie Mellon. "One of the things we're working the hardest on now is the ability for more and more people to author their own stories using the data sets we've brought together," Sargent said. That means reaching out to and training journalists, educators, stakeholder organizations, corporations and even community activists. "If a housing activist group needs to explain what's happening in a particular neighborhood," Sargent said, "we'd love to have them use this tool."